The 42,000 sq. 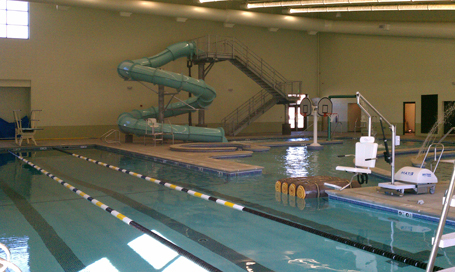 ft. Raton Recreation Center was designed to provide fitness to the community that included swimming pools, basketball courts, weights, indoor running track, community meeting room and a daycare in a state-of-the-art, environmentally-friendly building. The building is designed to be energy-efficient and resource conserving. The use of passive solar heating, cooling and daylighting will dramatically reduce operating costs. Solar hot water heating panels will reduce pool water heating costs. Recycled and low-maintenance materials such as fly-ash concrete were used also throughout the facility.